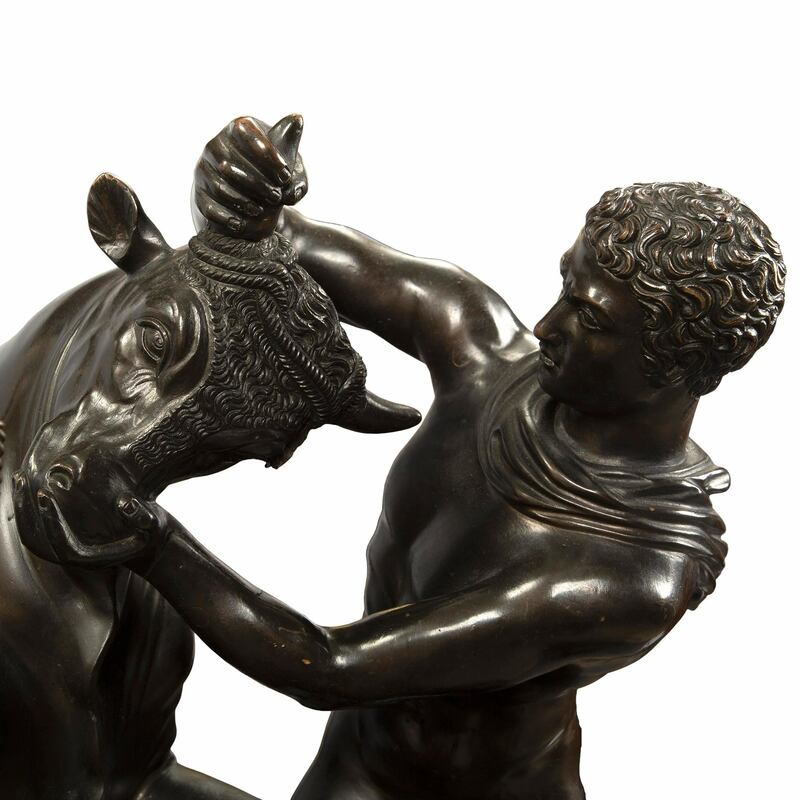 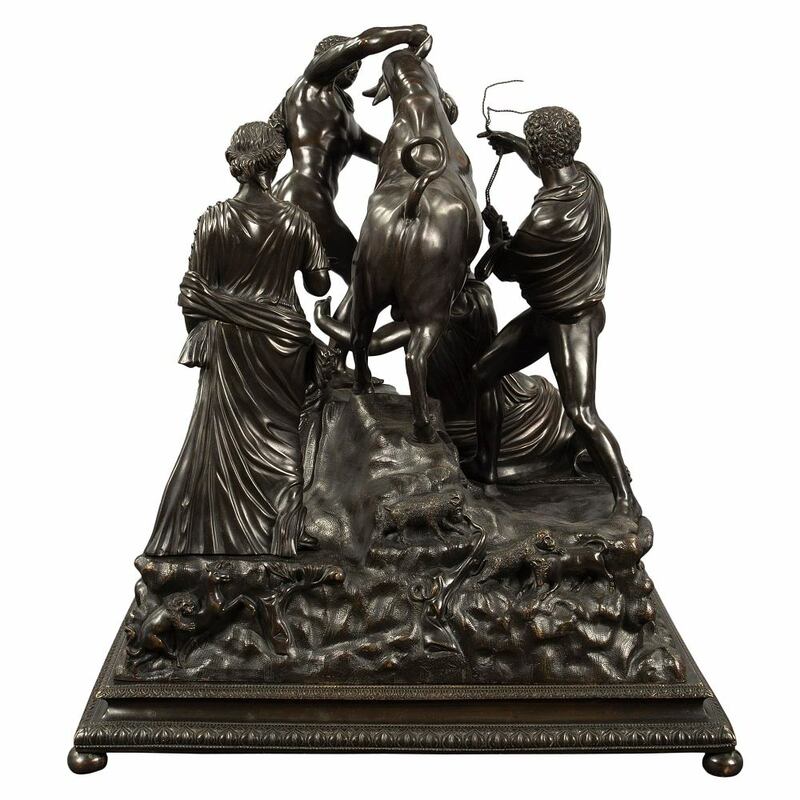 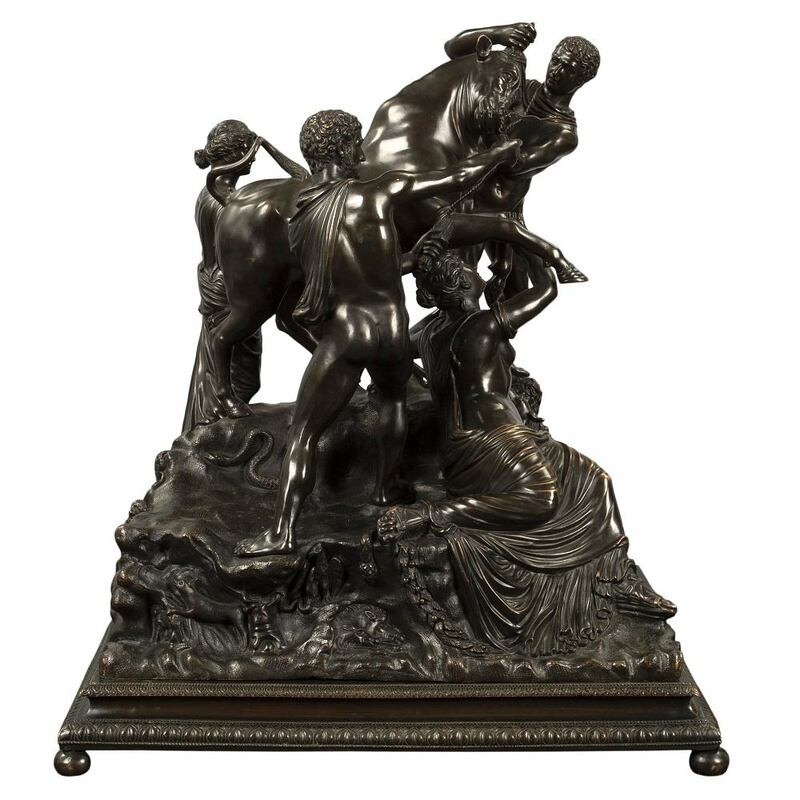 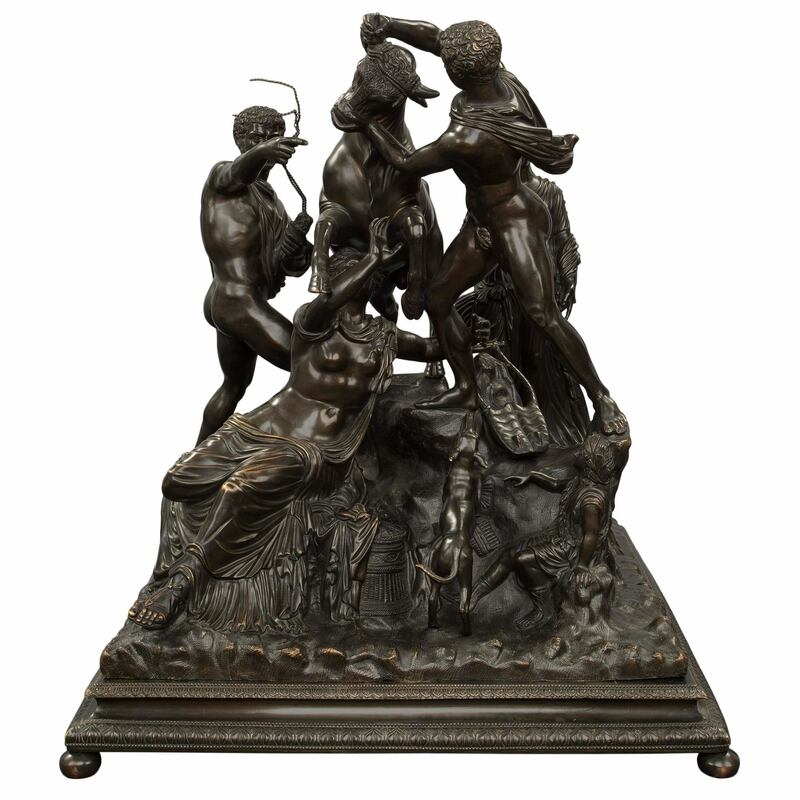 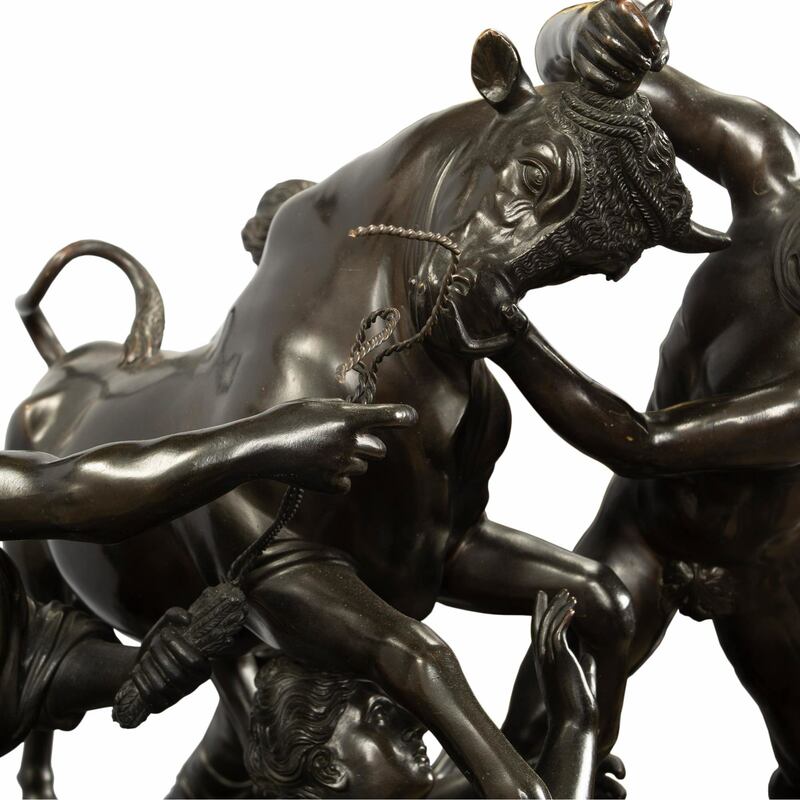 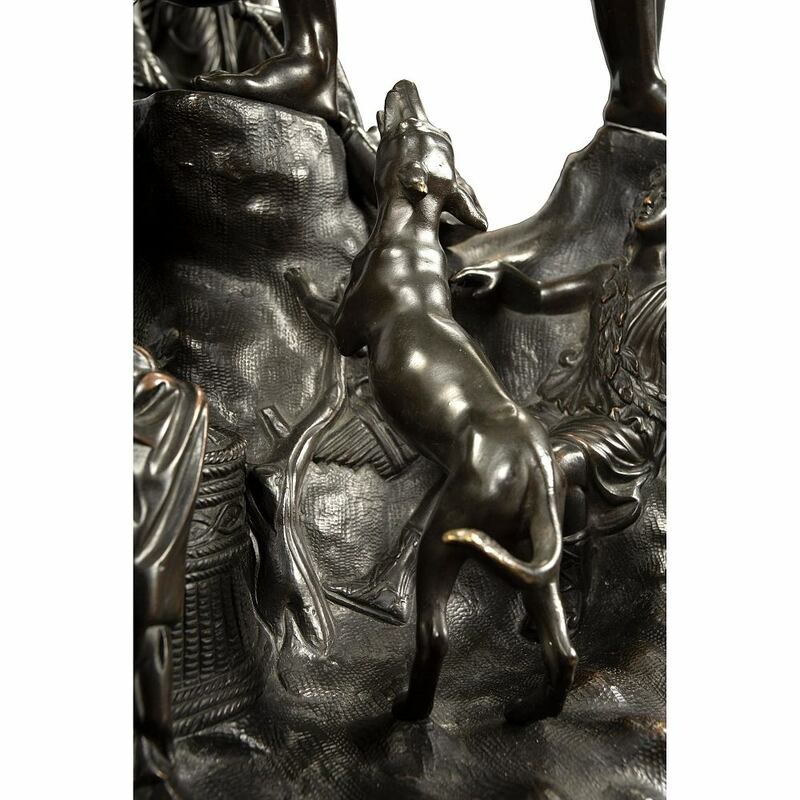 A most handsome and large scale Italian mid 19th century patinated bronze statue of the Farnese Bull. 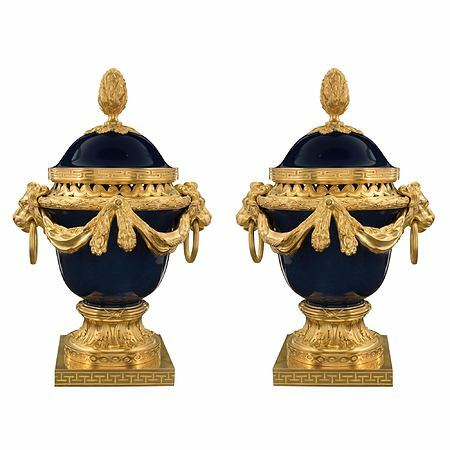 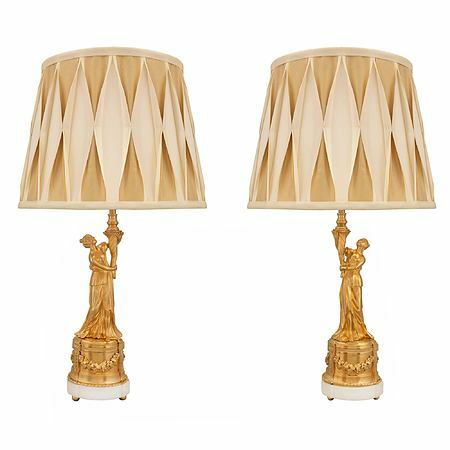 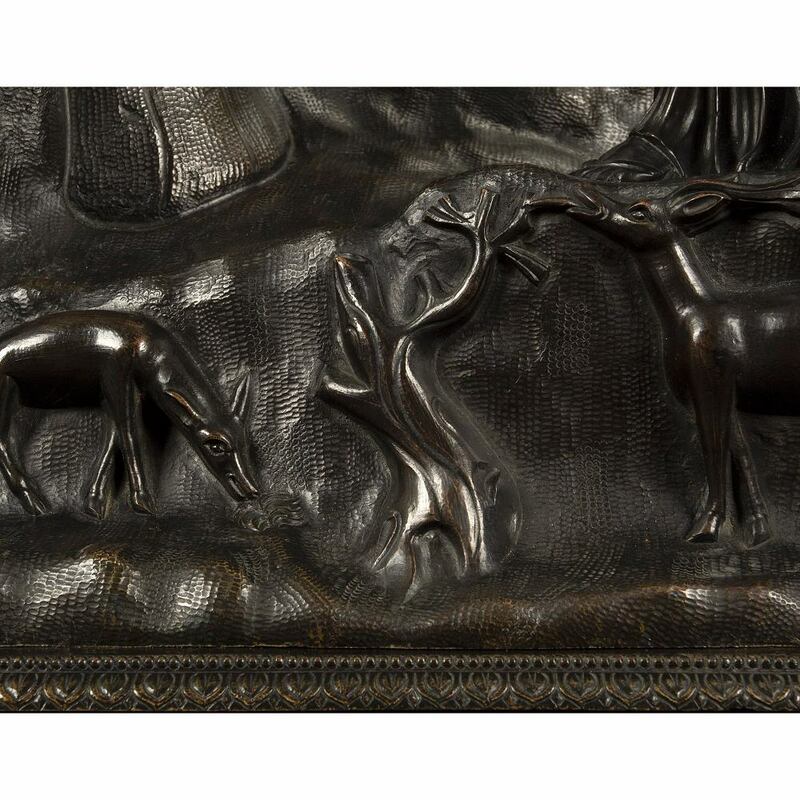 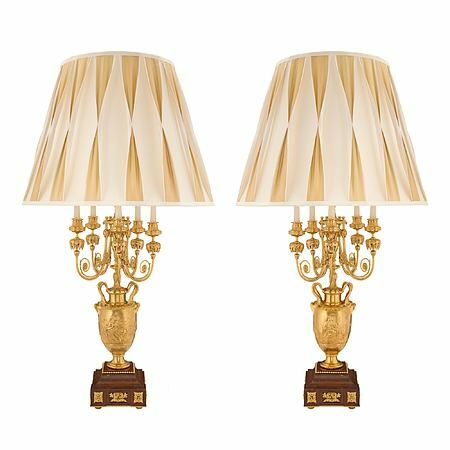 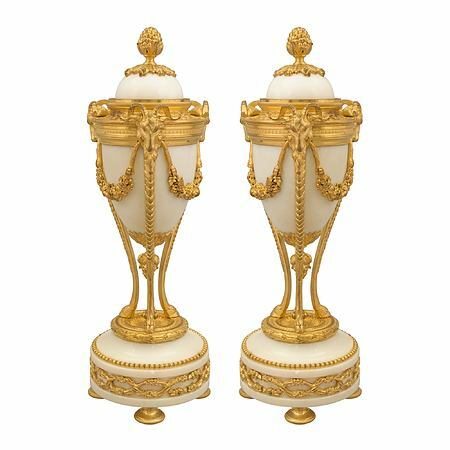 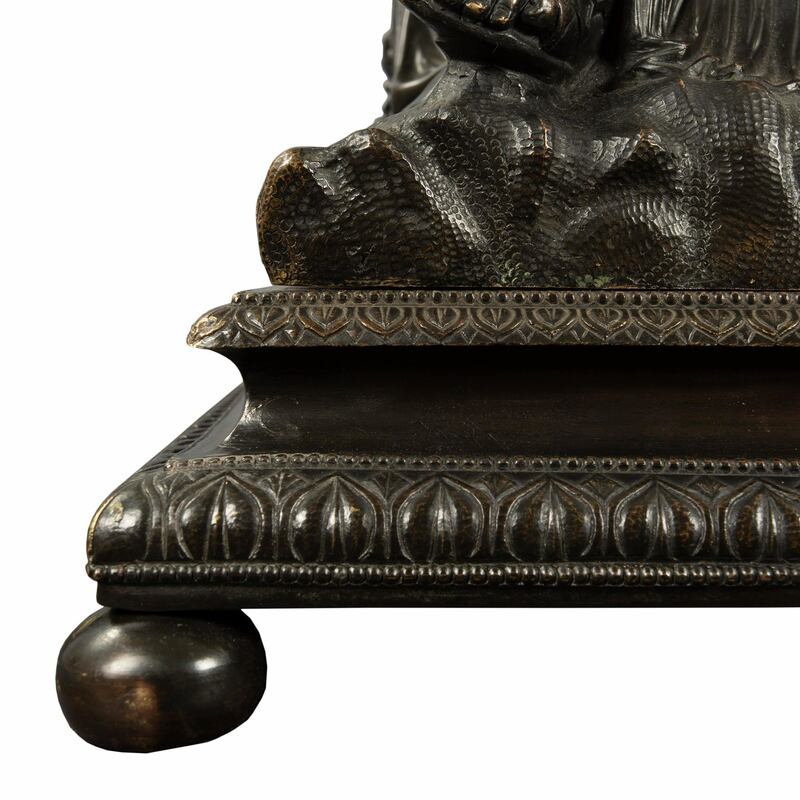 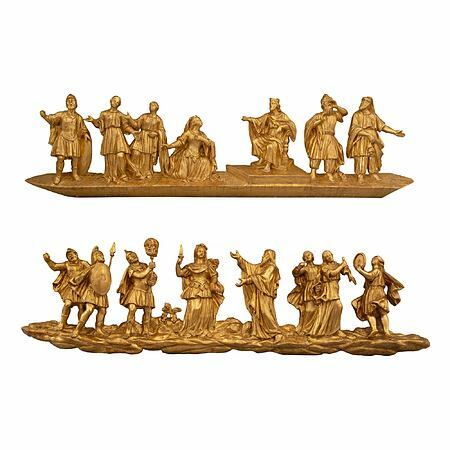 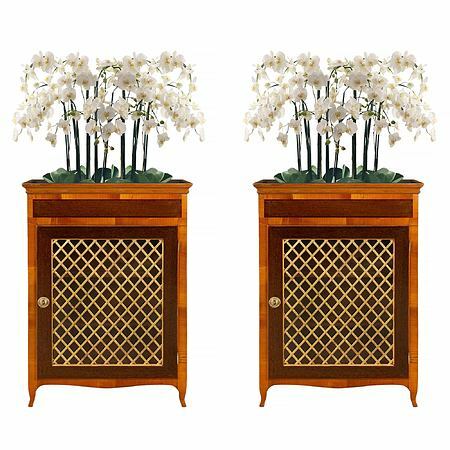 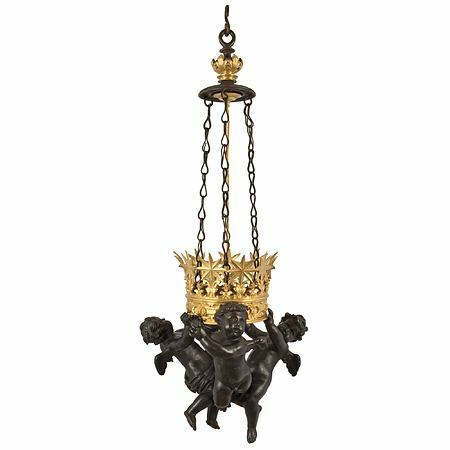 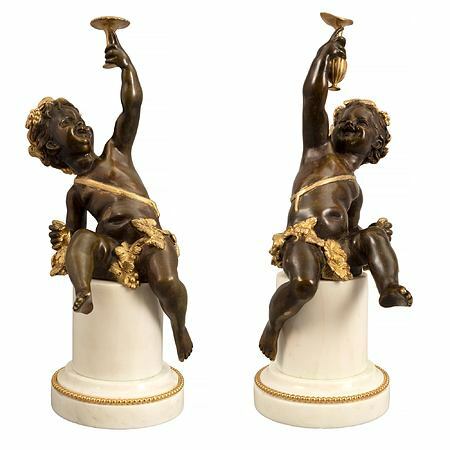 The rich and warmly patinated bronze is raised by a square mottled support with a palmette designed border all above ball feet. 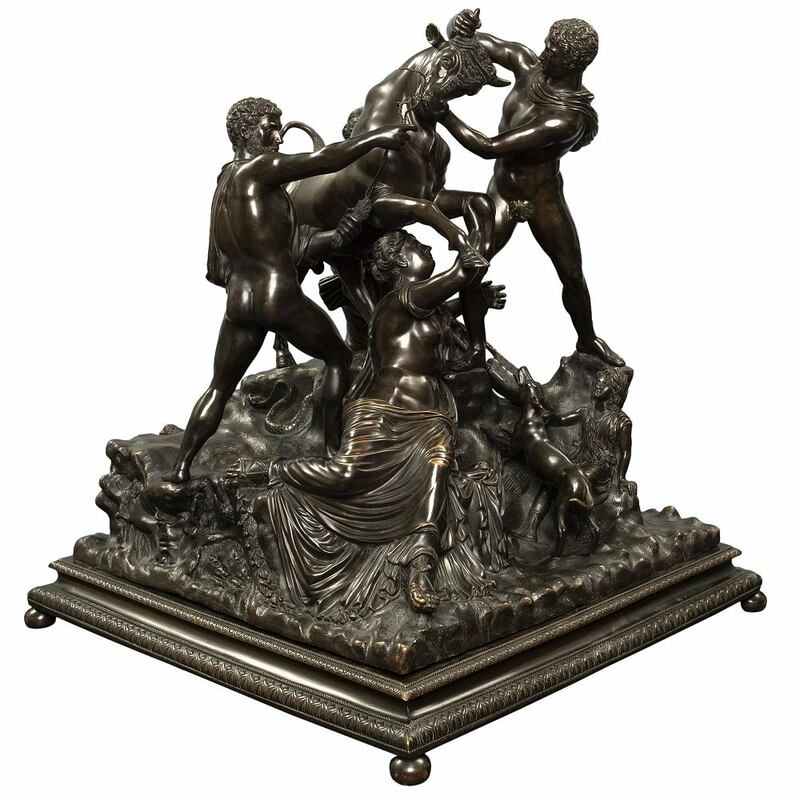 The sculptural group represents the myth of Dirce first wife of Lykon, King of Thebes. 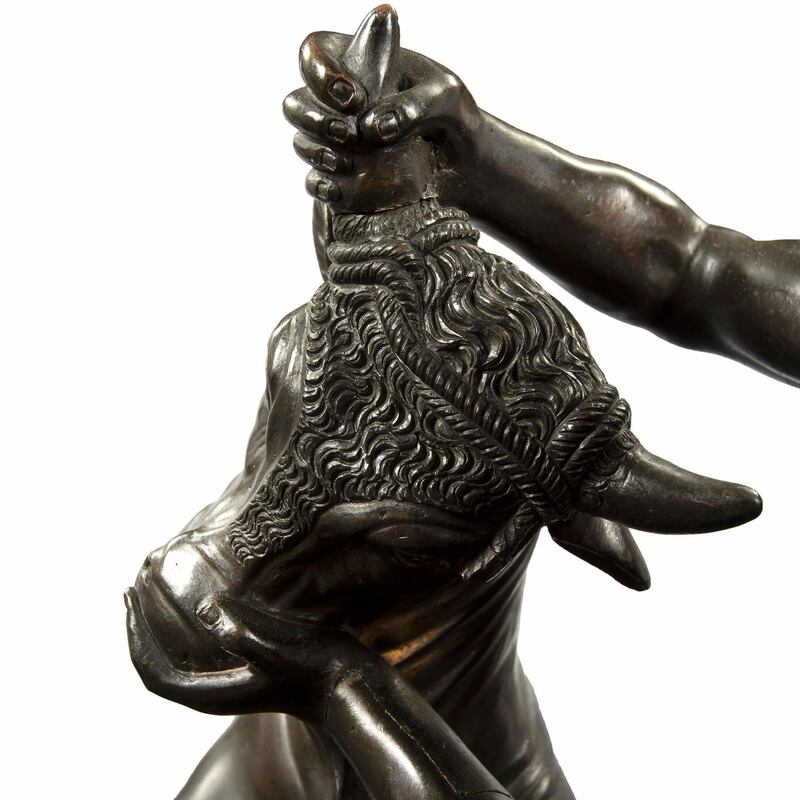 She was tied to a wild bull by the sons of Antiope, Amphion and Zethus, who wanted to punish her for the ill-treatment inflicted on their mother.